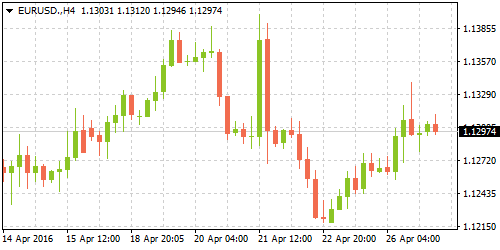 The Federal Reserve's monetary policy announcement is due today which has seen the equity markets trade cautiously with investors unwilling to make any significant moves ahead of the statement. Apple and Twitter were among the many companies that reported earnings yesterday, but both the companies missed the earnings estimates seeing a sharp decline in their share prices. Consumer prices in Australia fell for the first time in 7-years in the first quarter of this year. Headline inflation was down 0.20% missing forecasts of a 0.20% increase and reversed sharply off Q4, 2015’s inflation rate of 0.40%. On a year over year basis, consumer prices grew at a slower pace of 1.30%, data from Australian Bureau of statistics showed early Wednesday. 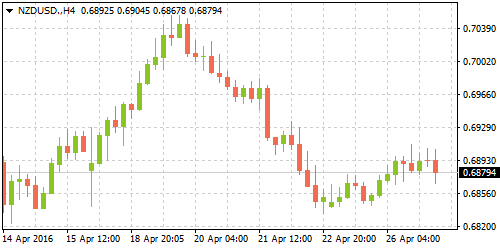 The lower than expected CPI print revived talks of further easing from the RBA over the coming months, which sent the AUDUSD sharply lower to an 8-day low following the release. The biggest deflationary factor came from a 2.50% decline in transport prices. The weighted mean CPI, which is a gauge used by the RBA, increased by 1.40% on an annualized basis in the first quarter of 2016, but still remained below the 2.00 - 3.00% inflation target range set by the RBA. New orders for manufactured goods increased modestly in March, rising 0.80%, according to data released by the US Department of Commerce on Tuesday. Although durable goods orders missed estimates of a 1.60% increase, the monthly jump of 0.80% in March comes after February's revised declines of 3.10%. Excluding transport, durable goods orders fell 0.20%, slower than February's decline of 1.0% and missing estimates of a 0.50% increase. The headline gains came with a rebound in orders for transportation equipment which surged 2.90% in March, recovering off February's 6.70% declines. Defense aircraft and parts also gained, rising nearly 65.7% on the month, following February's 30.4% declines. The first or preliminary GDP estimate from the UK is expected to be announced today at 08:30 GMT. Economists forecast that the UK's GDP expanded at a pace of 0.40% in the first three months of this year. This marks a slower pace of growth than the fourth quarter, which saw the UK's economy expanding at a pace of 0.60%. The GDP estimates come amid a broad slowdown across construction, manufacturing and the services sector, which started off on a weak note in the first quarter. Retail sales also remained weak. 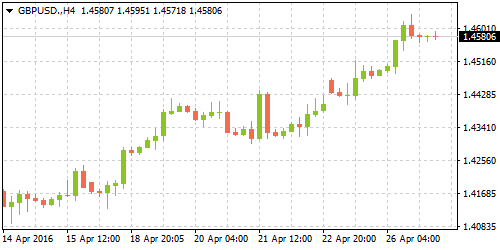 The heightened uncertainty from the impending UK referendum on its membership to the EU has also sapped the economy from outside investment with a burgeoning trade deficit, all of which is likely to be reflected in the first quarter GDP. The two-day April FOMC meeting will conclude today with a statement from the Federal Reserve. Analysts expect the Federal Reserve to hold rates steady at the 0.25% - 0.50% while expecting to see a softening of the Fed's stand on global uncertainty. The forward guidance from the FOMC will be key in how the markets will react. Any inclination towards to a June rate hike could see the markets react strongly which is currently not priced in. Followed by the FOMC meeting, the Reserve Bank of New Zealand will be meeting later tonight. 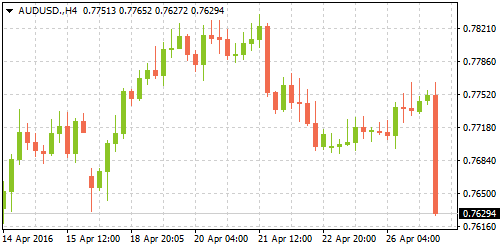 The key lending rates are expected to remain unchanged at 2.25%, but the RBNZ is likely to keep its easing bias.